Earlier this week, the union declared a strike against members of the Broadway League (the association that represents producers) on development of Broadway shows. The Union's action bars its members from taking part in the so-called. “lab” sessions that have become popular as a way for writers to enlist performers aid in developing new shows. These labs are similar to Workshops and Stage Readings, which are also covered by the Strike. Thanksgiving, and the Winter holiday chaos that ensues are just around the corner. Once they arrive, most non-retail businesses can expect things to go into a sort of “standby” mode until after the new year. the entertainment industry, in particular, goes pretty quiet at this time of the year. 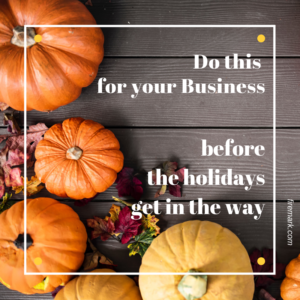 So, before the holidays really start getting in the way, here are a few to-do items you might consider to make sure your business hits the ground running in the New Year. For many of us, especially those in Entertainment and Media, intellectual property like Copyrights and Trademarks are our primary, most valuable assets. Yet many folks, individuals and businesses alike, neglect taking the important (and relatively simple) steps necessary to protect these assets against loss by infringement, dilution or downright theft. LOS ANGELES October 24, 2018 — Gordon P. Firemark, Attorney at Law has been selected for the 2018 Los Angeles Award in the Attorney category by the Los Angeles Award Program.